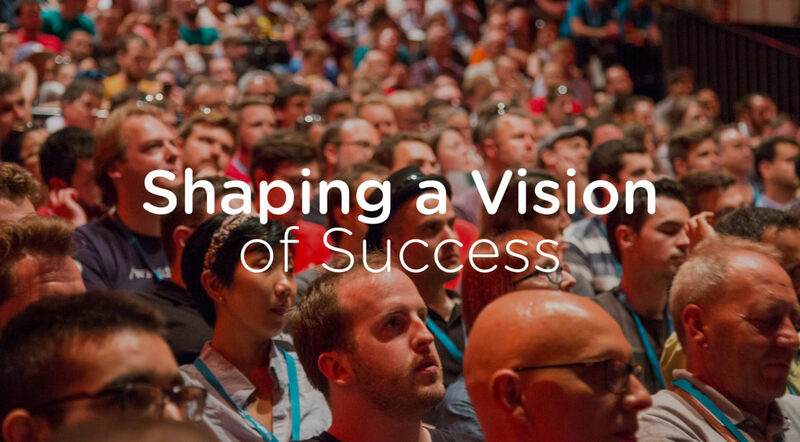 With the next edition of WordCamp Europe on the horizon, Jenny Beaumont finds herself thinking about event growth past and present, and about what success might look like for all of us in this new year. Editor’s note: This guest post is written by Jenny Beaumont, a co-organizer of WordCamp Paris and WordCamp Europe. She’s spent the last two decades building things in and around the web, writes a terrific newsletter, and lives in France. One of the highlights of my year, and a fitting end to 2016 as my sabbatical drew to a close, was attending the 2nd annual WordCamp US, held December 2-4 in Philadelphia, Pennsylvania. The trip met my expectations in every way, from the warm-hearted nature of the locals to the super-sized portions at every delicious meal, and from the diversity of attendees to all of the extraordinary conversations I had during that short week I was in town. “You might have noticed that this year’s programming at WordCamp US had some more of a human side, in addition to just the technical that we’ve had before,” said Matt Mullenweg, co-founder of WordPress and CEO of Automattic, during his much-anticipated State of the Word. Moving into 2017, ready for new opportunities and with the next edition of WordCamp Europe on the horizon, I find myself thinking about growth past and present, and about what success might look like for all of us in this new year. “It’s really all about pie,” replied Mullenweg when asked about the future of a WordPress entrepreneur, stating that as long as the pie continues to grow, everyone can get a piece. He talked about how the new focuses of the WordPress project—the REST API, the Editor and the Customizer—along with an inclusive design-lead approach, should allow WordPress to reach new audiences. WordPress has seen incredible growth in recent years, now representing over 27% of websites, a full 20% ahead of competing platforms. This translates to 58.5% market share of all monitored content management systems, when looking at the top 10 million sites. This doesn’t mean that the competition isn’t trying to close the gap. Mullenweg reported that the top proprietary platforms, such as Squarespace and Wix, spent upwards of 320 million in advertising dollars in 2016, often directly targeting search engine queries for WordPress. “I think that in the past WordPress got by on a lot of sort marketing by happenstance,” he said, admitting the need to look at the marketing of WordPress in new ways, and hopefully pooling the resources of the community to do so. All in all, he painted a bright picture for the future for the WordPress ecosystem, the community of people who come together around a common purpose and ideal—the WordPress project and its mission to democratize publishing—and in so doing create a new paradigm for work and the web, the byproduct of which is a flourishing economy. I can’t help but wonder, how big can the pie get? And while we concentrate on growth and competition, how do we measure the success of our mission? How will we know when we’ve democratized publishing? Can or should WordPress achieve this goal alone? “We must tilt our hat and bow down to Europe, which beat us this year,” Mullenweg capitulated as he wrapped up his report on community growth, expressed in the number of events and event attendance worldwide. Growth is an indication that we’re doing something right. An increase in the numbers tells us that more people are interested and getting involved. This is what an open source project needs to reach a wider audience, stay competitive and accomplish its mission: people to make it happen. But should success be measured solely in numbers? Is it healthy to think that there can be winners and losers when it comes to the success of our community as a whole? In its first three years, WordCamp Europe grew at a slow and predictable rate. Then last year, for some reason, it exploded. We sold our initial batch of 1500 tickets practically overnight, and ended up selling nearly 2200 tickets in total. What happened? Did WordCamp Europe’s reputation catch up with itself, creating this burgeoning interest? Was Vienna simply an incredibly attractive destination for a lot of people? Or was it the organizing team that did an outstanding job at marketing and outreach? WordCamp US was in its second year, and we can ask similar questions about why they didn’t see the growth they were expecting. Is the event, with its transition from the long-standing WordCamp San Francisco, still in its infancy, so that slow growth is to be expected? Was going to the same destination two years in a row not as appealing to attendees? Did the team do an adequate job of communicating around the event? In my mind, both WordCamp Europe and WordCamp US were successful events. Each did a lot of things well, and some other things less well. Attendees I encountered, whether speakers, sponsors, volunteers or the general public, seemed to have a rewarding experience and their expectations met. Because that’s why we put these events on, right? Not to “get the numbers” or “win”, but to create an enriching experience. So, how big do we let ourselves get? This has been an ongoing question for us on the WordCamp Europe team since things took on a new dimension in Vienna. This is a philosophy that I stand beside. It reflects our focus on attendees and on inclusiveness, so that it doesn’t matter whether we have 1000, 2000 or 3000 people, it only matters that we do our best to accommodate everyone and put on a great event for however many show up. It does not, however, answer the question. It’s exciting to run a popular event, and it’s easy to get carried away with that excitement and sense of accomplishment knowing that so many people want to attend, that so many people are being impacted in positive ways. When we focus solely on the numbers, and adopt a “bigger is better” mentality, it’s also easy to lose sight of some important consequences of growth. Keep in mind that we didn’t originally plan an event for 2200 people last year, and so we had to improvise, which meant a significant budget increase and a lot of extra work for the organizing team. It also catapulted us into a new level of production. Putting on a large event is not the same as putting on a smaller one, and once you get up above 2000 attendees, it has a trickle down effect. It means organizing a speakers dinner for upwards of 300 volunteers, and an after party for 1500. These are events in and of themselves. We’re brought to collaborate with professionals in the events world—caterers, vendors, venues—while we’re still volunteers working in our “spare time”, some of us with more experience than others at making this all happen. While the average ticket price per day has gone down, from $20 to $15.79, the cost of putting on a WordCamp has increased. Mullenweg reported that the cost of WordCamp US was $516 per person, while attendees continue to pay a mere $40 for entry to the two-day event, including lunch both days, free-flowing coffee, access to the contributor day and after party, not to mention the great swag, which included both a t-shirt and an adorable Wapuu plushy this year. The additional 90% of this cost falls to sponsors. Sponsors are not volunteers running a non-profit, they are businesses. As we ask more and more of them, they understandably are starting to question what they get in return. Our response has typically been, “you’re supporting the community and gaining exposure,” but is that enough and for how long? How much is too much to ask? How much is too much to ask of anyone? As we ask more of sponsors they expect more in return. As we grow, try to predict growth and to outdo ourselves every year, the task for organizers becomes more demanding. As we create bigger and better events, attendees expect to find the same elsewhere. An event with 10,000 attendees would be amazing. We probably couldn’t call it a WordCamp, though. It would be a WordPalooza, and would require a full-time staff and a new approach to programming, sponsorship and organization on the whole. Does an event have to grow into order to be successful? Can maintaining a certain level of participation and quality also be considered a success? Because it’s also possible that WordCamp US and WordCamp Europe will simply plateau at a certain capacity. The world may not be ready for a WordPalooza. Competition is widely considered good for business. It pushes companies to innovate and guard against complacency. It encourages a focus on customer service and helps protect consumers through competitive pricing. Competition in the marketplace confirms there is a market to be had, that demand is strong for the products or services being offered. It seeks to establish a basis for fairness, while letting companies vie for market share, sales and profit margins. The friendly, collaborative nature of the WordPress community is born out of the open source philosophy of contribution and sharing. It is, in my mind, our greatest strength. Support within the community is unparalleled. We consistently root for one another, learn from one another, share our triumphs and our difficulties, through mergers, acquisitions, hirings, firings, career changes and even the occasional drama. How big can WordPress get? Arriving at 100% market share is neither a likely nor a desirable scenario, if you believe in the benefits of competition and fair trade. The pie is not likely to grow exponentially, but rather will turn into something else entirely as the technology, the world and the web evolve, and the project along with them. “When we are candid about our shortcoming, it allows us to be better towards going to the future,” Mullenweg said in talking about the WordPress Editor. This is a sentiment we can apply across the board, to ensure that our philosophy and our mission are reflected in our words and actions as we bring new users to our platform and welcome newcomers to our community. Healthy competition, whether inside or outside of the community, helps us strive to be the best we can be. Raising the bar can produce some extraordinary results, allowing us to be inspired by one another, taking on ideas that we might find valuable for our audiences, customers, clients. Healthy competition allows us to learn, have fun, grow and share that wealth of knowledge around us. Unhealthy competition causes us to lose sight of our goals, focusing on numbers instead of the people affected by them. In a community such as ours that prides itself on inclusiveness, we can only succeed or fail together. In this coming year I’d like to see success shaped through managing expectations and staying true to our purpose. I’d like to see it shaped by people, not numbers, by the humanity of this open source project that brings us together, allows us to create, to innovate, to provide for ourselves and our families. I’d like to think that a future vision of success could be when growth is neither the goal, nor our limitation, when we’re no longer looking to a growing pie, but rather to a renewable spring or self-sustaining garden. I’d like to think that one day we will be able to say that we’ve succeeded in democratizing publishing, and if and when we do, I doubt that we will have done it alone. And that’s a good thing. I have no idea how many people will show up to WordCamp Europe in June, but I do know that it will be another fantastic event. I also know that you can help make it a success by participating. You can apply to speak, to volunteer, to sponsor, and/or buy a ticket. So many ways to be a part of making it happen. So, see you there? Wait, let me rephrase: see you there! Growth for growth’s sake isn’t a terribly inspiring goal, but it is a good measure of the work we do and its impact on the world. Growth is an effect, not a cause. The underlying metric, if it’s a good one, can bring into focus where you’re doing well or not, especially when paired with complementary metrics. If you were trying to improve your running you wouldn’t just look at miles run, you’d also track time per mile, heart rate, stride, how you felt afterward, and it might even have effects when you don’t run such as resting heart rate, weight, or soreness, or better sleep. If the goal of WordPress is to democratize publishing, the number of people publishing and the % of websites on open source software are good things to track, just as if the goal of WordCamps is to educate and connect existing and current WordPress users, then number of people attending WordCamps individually and collectively are good to track! I’d be interested to hear your thoughts about two of the questions I raise: 1) How will we know if/when we’ve succeeded in democratizing publishing? 2) Can or should we (WordPress) do it alone (i.e., 100% marketshare)?